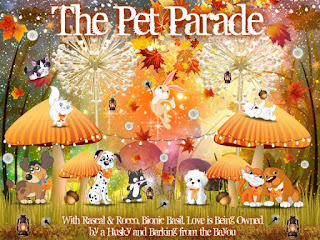 Barking from the Bayou, LLC received a Hear Doggy pig in exchange for an honest review. We only share products/services that we enjoy and believe will be of interest to our readers. Hear Doggy! is not responsible for the contents of this article. Bentley: “Nice try, young ‘un! 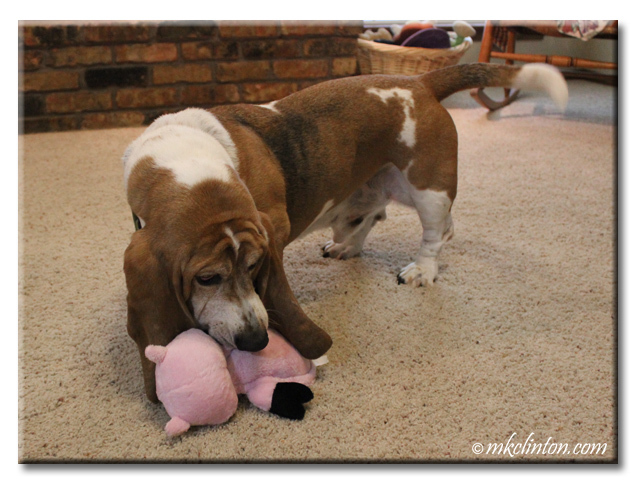 You should never come between a Hound and his favorite pig. Maybe we should order one of the other Hear Doggy! 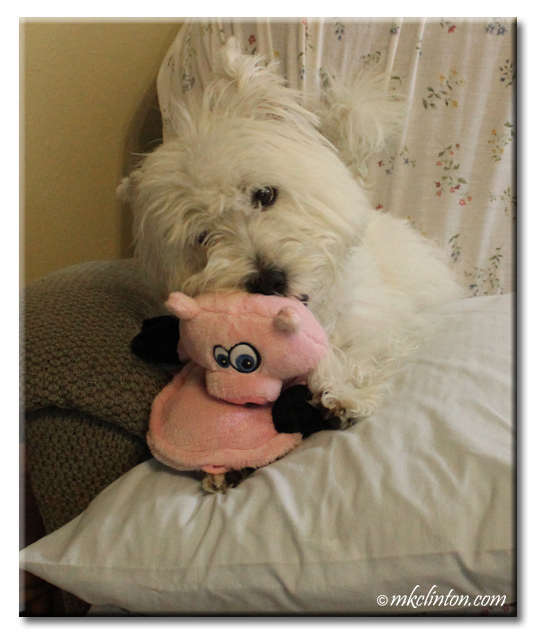 toys like the cow, giraffe, gator or elephant so we don’t have to share my piggy. It's time to break out the Dear Santa Paws letters." Me: “I was so excited to see that Clementine enjoyed her quiet toy too. It’s also a perfect toy if you have a napping baby in your home. The boys have woke up our granddaughter with other noisy toys. The Hear Doggy! is a welcome relief! As we do every Friday, we are co-hosting the Pet Parade with these friends; Rascal and Rocco, Basil the Bionic Cat, Love is being owned by a Husky. Link up your favorite blog of the week and gain social media followers and shares. 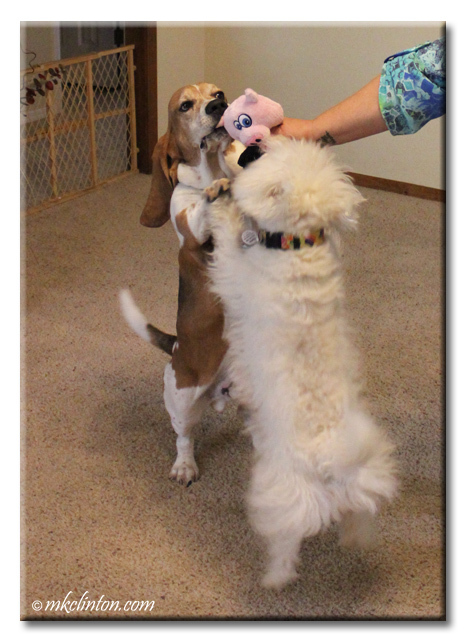 Bailie is the squeaker lover here. She enjoys strutting around with her squeaky ball or her wabbit squeaking away. The only thing would be, how does Mom know if the squeaker breaks? Seems like a great toy! Enjoy it boys! 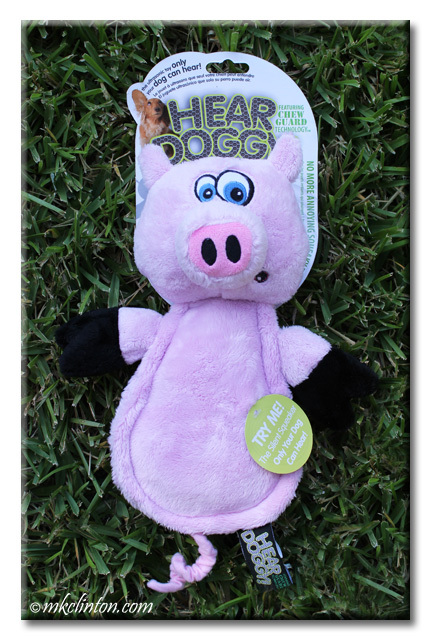 Hear Doggy sounds like a fun toy. Ruby is scared of some squeaky toys - I wonder if this would be more fun and less scary for her. that is a super toy... do you thing that hoggy is strong enough for a shredding doggy? I wonder if the squeaker in that toy is as chewy as the ones in regular squeaky toys? If you send me one, I would have an answer for you very quickly. Oh, and I have yet to meet an indestructible squeaky toy. Hey, why is ghostwriter giving me the stink eye? In the 'why didn't I think of that' category, what a brilliant idea! We're gonna have to check those toys out now that the new pup seems to love toys and the noisier, the better. This would take care of all that racket. We used to get that competition around her all the time but now two are old and not interested, but Marcus happily took over Buddy's toy de-squeaking. Nice to know there is a quiet toy around before the squeaker disappears. Now that is a fun toy! That oinker is too stinkin' cute!! 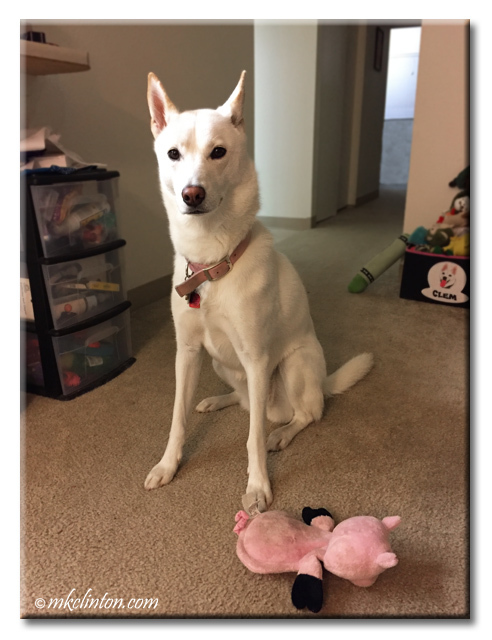 That picture of Pierre and the piggy toy is precious! Oh wow, a squeeker that only dogs can here, that's pretty cool. Your cousin Clementine is so beautiful! It's nice you have the same taste in toys.